It’s the first day of 2011 and that means resolutions are being made to lose weight, get healthy and workout. Myself included. Frankly, I’m a little disgusted with myself and looking forward to getting back in a healthy routine. I imagine you might be feeling the same way. Come Monday the lines at the gym will be insane and I’m willing to bet my (once) regular yoga class will be a little cozier. It always is the first few weeks of the new year. But eventually it levels back out. 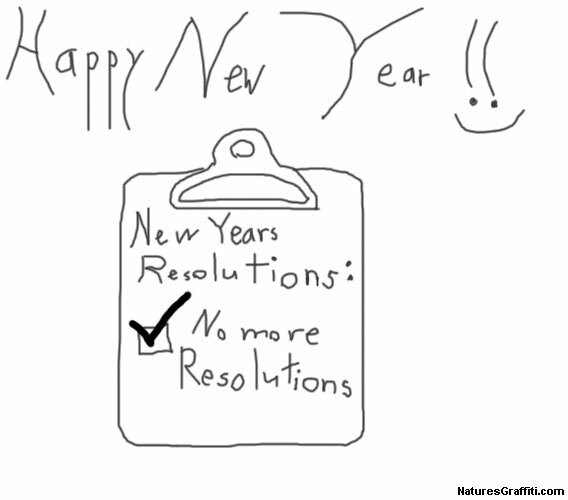 That’s the thing with resolutions. They’re tough to keep. I’m in no place to be saying anything about breaking them. I know it won’t be long before I indulge again. But I won’t beat myself up over it. Deprivation is not the way it’s done. That’s the reason diets don’t work. If we feel deprived we’ll waver. But wavering is OK. It’s not worth beating yourself up over it. The most important lesson I learned in 2010 is that it’s a journey. “Healthy” isn’t a pot of gold at the end of a rainbow. It is the rainbow. It’s all about perspective and what it is that helps you stick with it. What will your mantra for 2011 be? Next postWant to Learn to Cook?